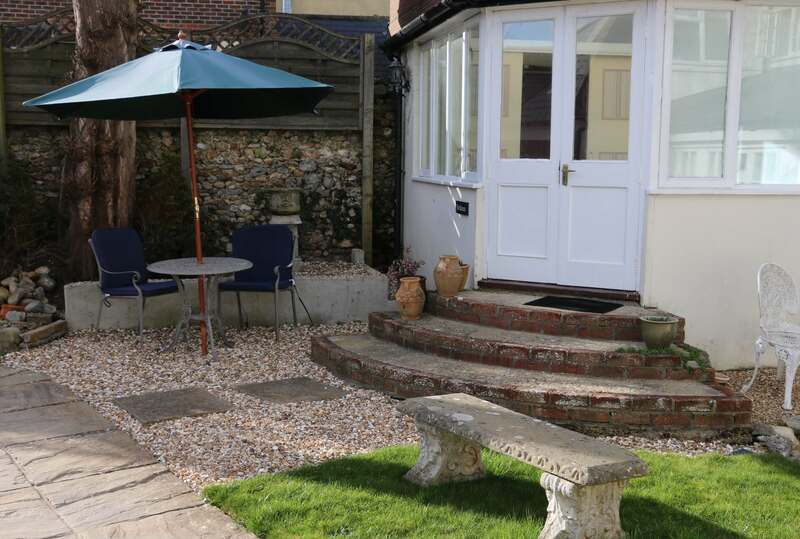 The Abbots Retreat has spacious self-catering accommodation for two people in Charmouth, a Dorset Village on the Jurassic Coast near Lyme Regis. Between the lounge and kitchen is a downstairs WC. The Retreat has its own patio area within a shared garden. There is reserved parking for one car in our private car park. There is a £25 laundry charge per booking.